Microsoft last week defended its five-year deal with the National Football League (NFL) after the coach of the New England Patriots trashed the company's tablet. "This week Surface has been at the center of the debate on the role of technology in the NFL, with different opinions shared from coaches and players," said Yusuf Mehdi, a Microsoft marketing executive in the Windows and Devices Group, in a post to a company blog Friday. That "debate," as Mehdi put it, was one-sided until his defense appeared. Earlier last week, sports and technology reporters and bloggers wrote extensively when Patriots' head coach Bill Belichick dismissed the Surface. 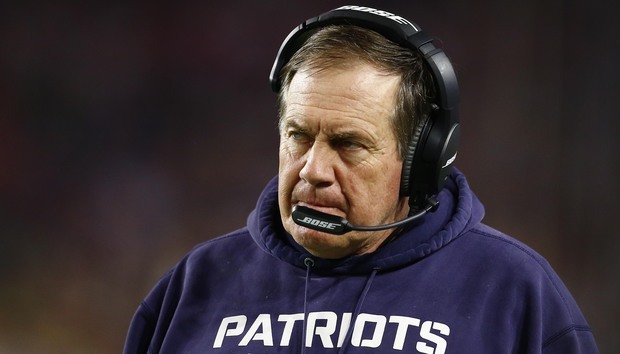 Belichick, who is famous for his laconic replies during press conferences, turned up the verbosity meter when he laid into the Surface and its failings for a full five minutes. "I'm done with the tablets," he said. "They're just too undependable for me." At the time, Microsoft issued a short statement in response, saying among other things, "We respect Coach Belichick's decision, but stand behind the reliability of Surface." Microsoft and the NFL are about half-way through a five-year deal that for a reported $400 million gave Microsoft exclusive rights to NFL sidelines. Teams use the Surface Pro 3 to view still photographs of previous plays for study as a replacement for printed images stuck in binders. The tablets are easily spotted -- their covers are sky blue -- and the carts that house the tablets and supporting hardware are emblazoned with the tablet name. But Microsoft's partnership has had some rocky moments. For months, network commentators mislabeled the Microsoft tablets as iPads, the device made by rival Apple. Coaches and players have been caught by cameras throwing the Surface to the ground or banging it against their heads in frustration at the technology, what it showed them, or both. Microsoft has been forced to stand up for the Surface before. After a technology glitch during the January 2016 AFC Championship game between the Patriots and the Denver Broncos, Mehdi asserted that the tablets had never failed. Instead, he blamed stadium networks for any perceived problem. Last week's defense was an even lengthier comeback to critics. Mehdi again extolled the Surface's reliability, calling the sidelines "one of the toughest offices for IT." But he did not blame stadium networks this time, choosing instead to praise behind-the-scenes technical experts. Nor did Mehdi name Belichick. He did, however, seem to aim one sentence right at the coach. "We know change can be hard and technology adoption typically has a growth curve," Mehdi said. The blog post also included applause from two starting NFL quarterbacks, Drew Brees of the New Orleans Saints and Russell Wilson of the Seattle Seahawks. "Every second counts and having Microsoft Surface technology on sidelines allows players and coaches to analyze what our opponents are trying to do in almost real time," Wilson said. Brees and Wilson have off-the-field endorsement deals with Microsoft, and have appeared in Surface advertisements.